These dangle earrings have been seamlessly designed to complement and uplift your feminine charm. The lovely milgrain-edged silhouette of the open frame holds within itself an intricate floral pattern. In the center sits a beautiful lab grown diamond that is surrounded by an alluring petal motif frame adorned with even more brilliant lab grown diamonds and milgrain detailing. They also feature lever-backs for a comfortable fit. 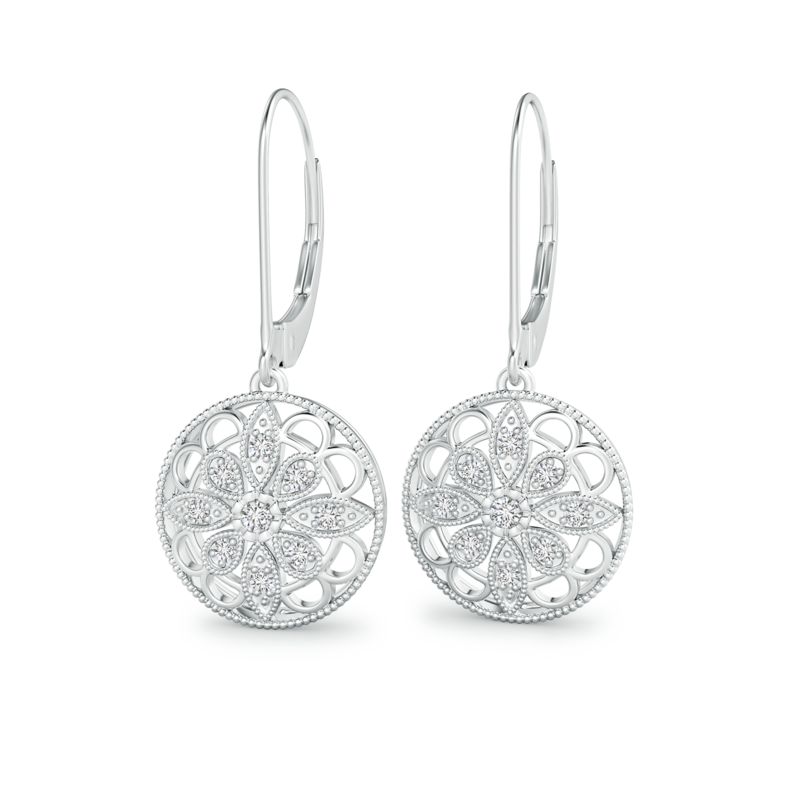 Crafted in 14k white gold, these drop earrings perfectly capture the beauty of blooming flowers.